I was in a situation recently where a migration was necessary between two separate Citrix Farms, one being live and long standing with published applications and another being a published desktop. Migrating users between these two environments was straight forward using some powershell scripting to apply some filtering to the old farm. In earlier releases of Xenapp and XenDesktop the exclusion was not available in the GUI which is the main reason for this post. The below diagram describes the scenario. 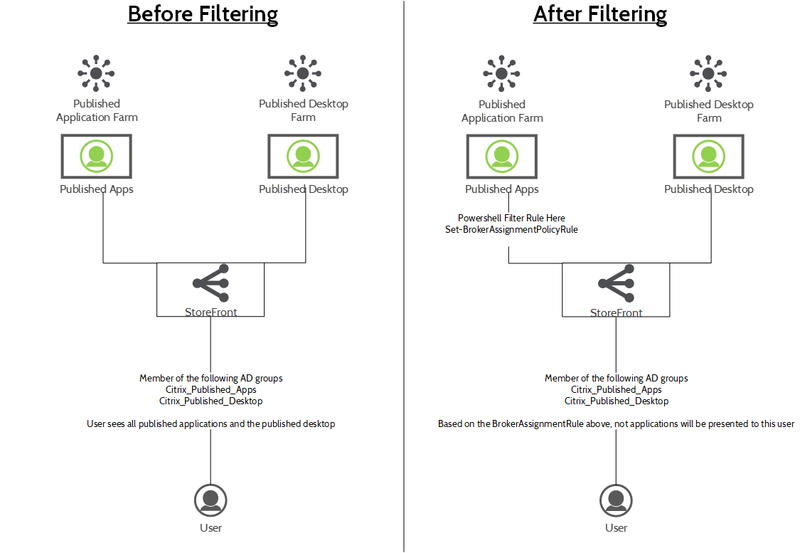 In this scenario the user is in both groups, what we want to achieve in on the right handside, when the user is placed in the new “Citrix_Published_Desktop” group, the user will no longer see published applications in Storefront. To achieve this, we use some Powershell Magic, Hop on your delivery controller and fireup Powershell. First, we’ll add the necessary Citrix Snap-ins. We can now create a new filter based on this. Note the name for the next part. Note: The AD Group name must be exact. 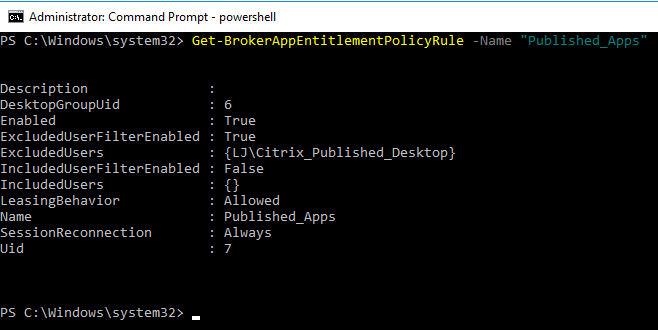 This now means that when a user logs into Storefront and are part of the Citrix_Published_Desktop Group they will be excluded from the Published Applications delivery group.